Celebrate spring with a Dandelion Soap made from the whole dandelion plant! 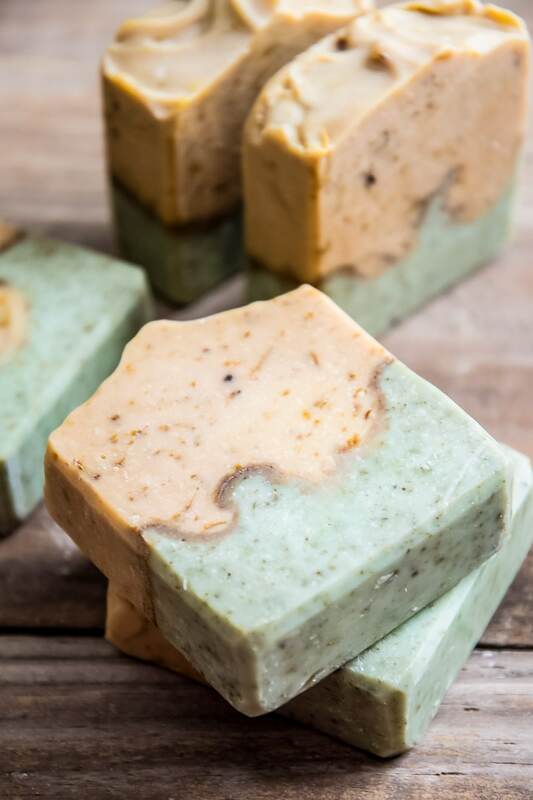 This all-natural cold-processed soap recipe makes a beautiful bar loaded with blossoms, leaves, and roots of herbalists and foragers favorite “weeds”! I don’t know about you, but by the time February and March roll around, I am so over winter. 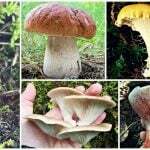 As much as I love the slow pace that comes with darker winter days, by now my soul is screaming for beauty and color, the smell of earth and sight of living plants! Which is why I love the bold and humble little dandelion so much. Forget that groundhog nonsense. The sunny little dandelion blossom is what I look for to signal the coming of spring! In its fight against the lingering cold and snow, it bursts forth with the promise that spring is surely on its way. And soon! That’s one of the many reasons why I love to infuse botanicals into my handmade skincare, such as in dandelion soap and dandelion salve. They remind me of the warmer days to come. 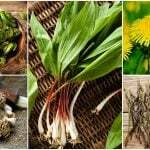 And then, before I know it, I’ll be able to go foraging for herbs, blossoms, and roots such as dandelions and dandelion root once again. Other wonderful reasons to infuse handcrafted soaps with herbs and botanicals is because of the nourishing benefits they may provide to your skin while you clean. Dandelions are loaded with minerals and vitamins, particularly vitamins A & C. High antioxidant levels may help you fight free radicals and halt the signs of aging skin. 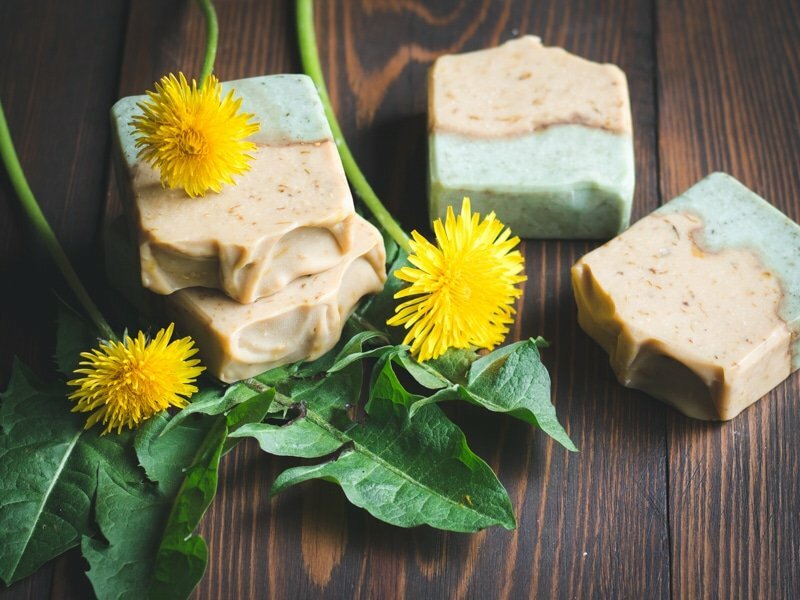 If you experience skin irritations and are searching for a soap to help you find relief, dandelion soap may just be what you’re looking for. 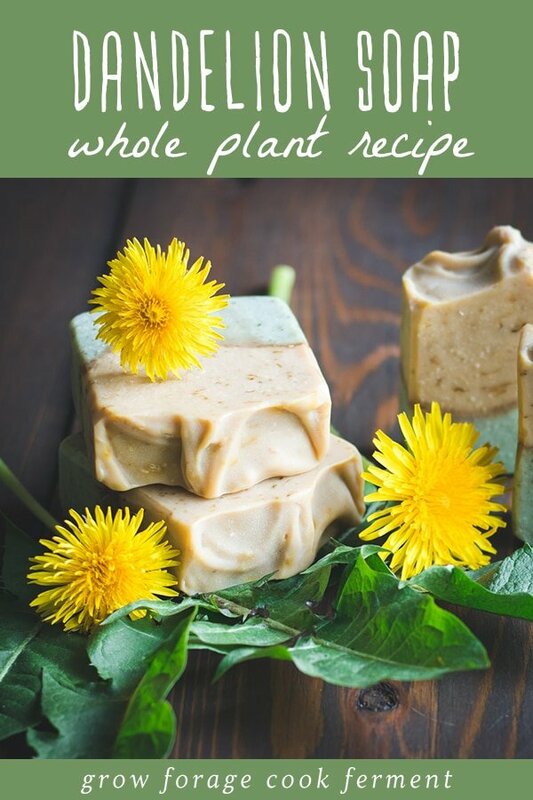 In this dandelion soap recipe, we will be using all three parts of the dandelion plant: the roots, leaves, and flowers. We will use these parts in a few different herbal preparations before we begin with the actual soap making. While making dandelion soap, the plant can be sustainably harvested because it doesn’t take a large quantity of botanicals. I don’t worry too much about the blossoms. It seems to me that whenever you pick one dandelion flower, another pops right back up again tomorrow. When you’re making soap, it’s usually best to used dried plant parts because the water content in plants can cause too much moisture in the soap (which means longer curing times or even leaking). 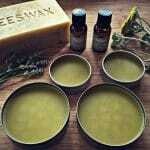 The sunflower oil used in the soap is an herbal infused oil made with dried dandelion blossoms. 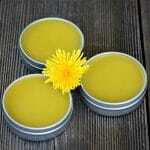 Learn more about making dandelion infused oil in my dandelion salve post. 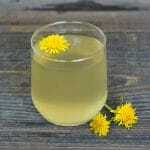 Prepare a dandelion blossom tea the same way as you would any other loose tea. 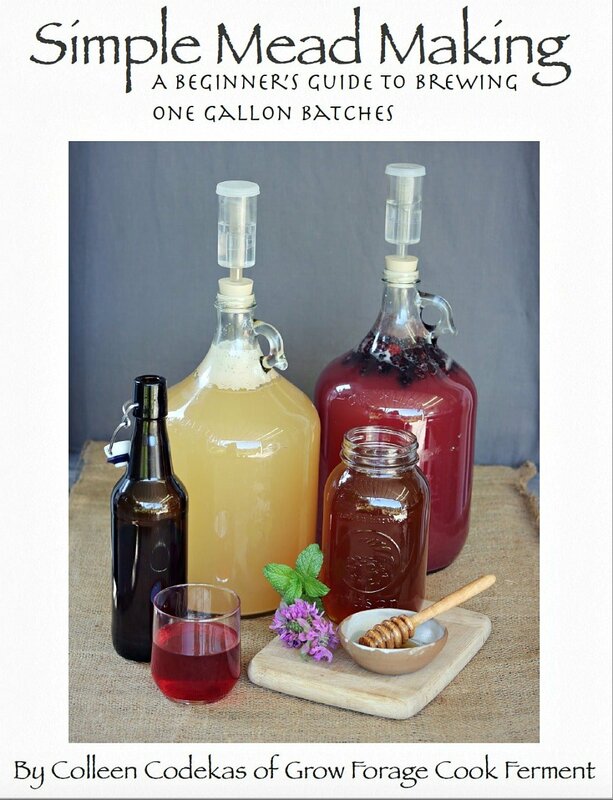 I use about 2 heaping Tablespoons of blossoms per pint of water. Allow it to cool completely before using. I prefer to freeze all of my liquids in soap making. Not only are the fumes significantly less, but it makes the process go more quickly because you don’t have to wait for the water portion to cool once the lye is mixed. 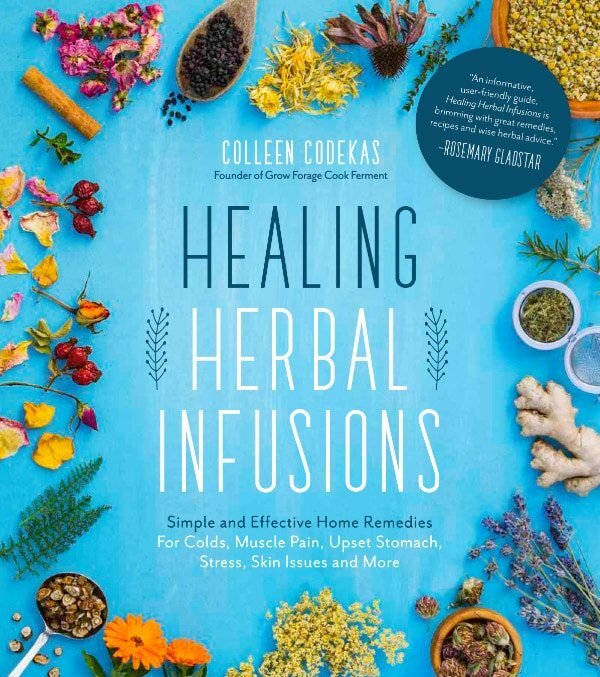 I believe the cooler temperatures will also allow the herbal benefits to remain intact better than if it were being heated to 130 degrees (or more) by using room temperature liquids. Once the soap has reached trace, we will divide it into two different bowls. In the first, we will color the mixture a light green and mix in powdered dandelion leaf. In the second, we will color yellow and stir in dandelion petals. A thin pencil line of powdered dandelion root will divide the two layers. In the end, we will have a “whole plant” bar of dandelion soap! If that doesn’t remind us of spring, I don’t know what will! Of course, you can always get creative and tweak the botanical portion of the recipe (but never the water/tea, lye, and oil ratios). Perhaps you’d like to make an exfoliating bar with the leaves and powdered root mixed throughout. Or you can craft a lovely bar of soap by swirling the “yellow” and “green” together. 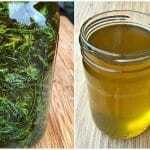 Try infusing the herbal sunflower oil with the dehydrated dandelion leaves. Experiment with natural colorants. Other choices for a natural green would be French Green Clay or Spirulina Powder. 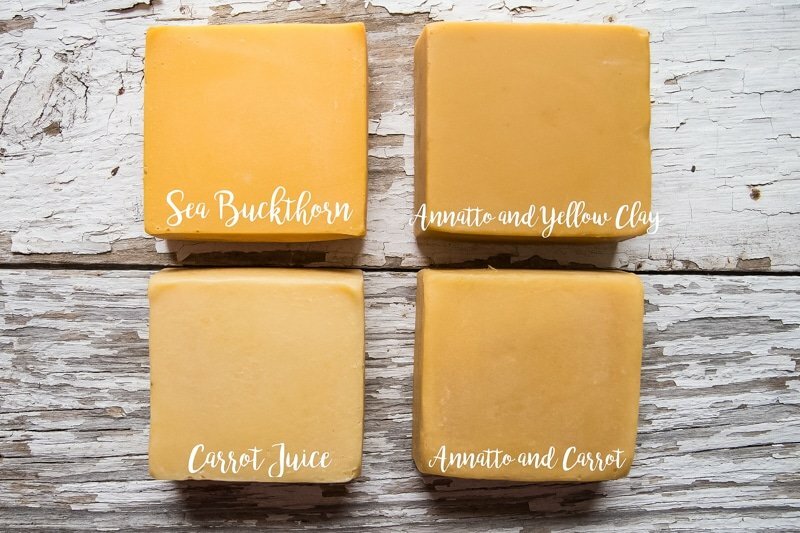 You can make a bright yellow bar by adding Sea Buckthorn oil at trace, Annatto Seed infused oil, or even Carrot Juice. I did a bit of testing for you so you can see how the different natural yellow colors turned out. I won’t be delving into all the basics of how to make soap for beginners. 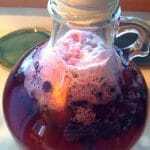 The process is generally the same as you’ll find on other soap recipes on this site. 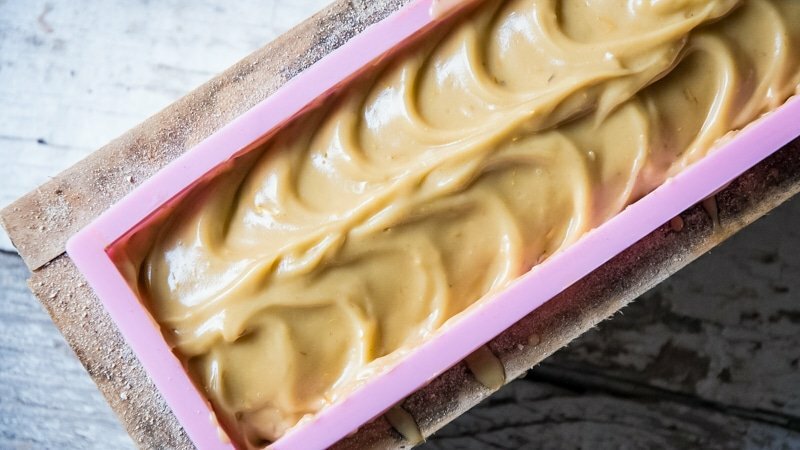 I also highly recommend Jan Berry’s Natural Soap Making eBook and Soap Making Success course if you are new to making soap! 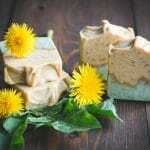 Do You Need to Use Tallow in Soap? While I’ve included a substitution for the tallow in an alternate recipe below, I don’t like soaps made without it nearly as much. From a sustainability standpoint, tallow and lard are by-products of the meat industry and will be thrown out anyway. 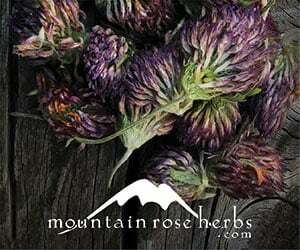 ¼ cup dehydrated dandelion petals, stir enough additional sunflower oil in with the petals to coat them. This will prevent them from “bleeding” into the soap as much. Weigh out the solid fats (purified tallow and coconut oil) into a large glass or stainless steel bowl that can fit over a small saucepan to create a double boiler. Fill the saucepan with water and bring it to a boil. Set the bowl with the tallow & coconut oil over the saucepan until they are melted. 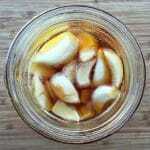 Meanwhile, weigh the dandelion tea ice cubes into a large glass bowl or plastic container. Weigh the lye into a small glass bowl. Wearing your safety glasses, slowly stir the lye into the ice cubes until they are fully melted and all of the lye is dissolved. Weigh out the Dandelion Infused Sunflower Oil and stir it into the melted tallow and coconut oil. If you didn’t already, now is a great time to measure out your essential oils, colorants, and herbal additions so they’re all ready to go when you need them. Set them aside. Check the temperature of the oil mixture and the lye solution to make sure they’ve cooled enough so that when mixed together the temperatures will average about 90-100 degrees F.
Slowly stir the mixed oils into the lye solution and stir with a silicone spatula until the oils are incorporated and not streaky on top. Using an immersion blender, thoroughly blend the mixture until you reach a thin trace and the temperature begins to rise. Set the thermometer aside. Stir essential oils with the spatula until they are fully incorporated and then give it another pulse for about 30 seconds with the immersion blender. In one half of the batter, mix in the liquid chlorophyll and powdered dandelion leaf. In the other half, mix in your yellow Brazilian clay and dandelion petals. Pour the green batter into your prepared soap mold. Spoon the yellow batter into the mold, on top of the dandelion root powder. Swirl or decorate your tops. Cover with plastic wrap or waxed paper and set aside to harden for about 48 hours. Allow the soap to cure in a dark place for at least 4 weeks, but preferably for 8 weeks. This will ensure your bars are fully-cured and will be hard enough to last a while. The dark will help keep the natural colorants from fading. This recipe won’t yield a bar that is quite as hard and long-lasting, nor as luxurious a lather as the tallow-based Dandelion Soap version. 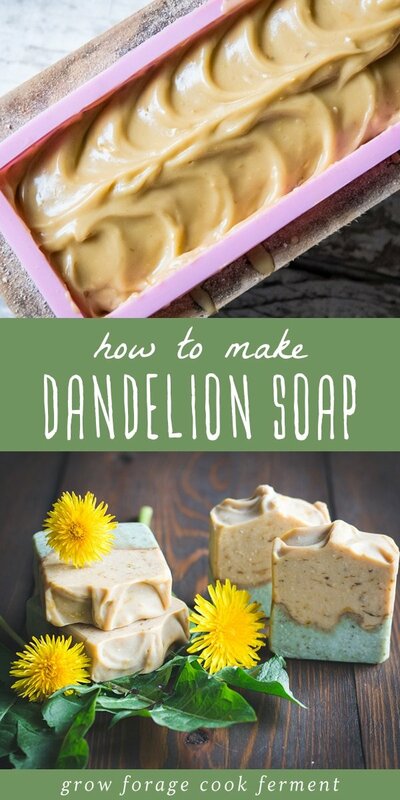 Isn’t this dandelion soap a great way to put all of your herbalism skills to good use? 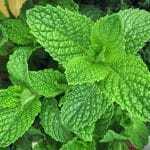 By using the whole plant you can practice making tea, oil infusions, dehydrating and powdering herbs, and soap making. 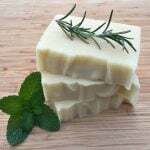 Best of all, your bars of soap will be a wonderful way to share your love of herbs as gifts for your friends and family! Celebrate spring with a Dandelion Soap made from the whole plant! 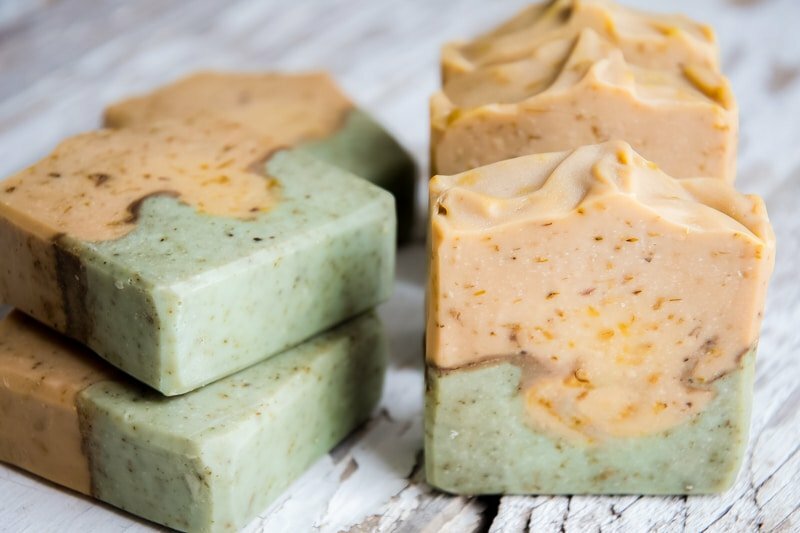 This all-natural cold-processed soap recipe makes a beautiful bar loaded with blossoms, leaves, and roots of herbalists and foragers favorite "weeds"! 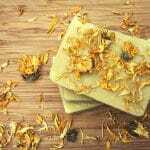 ¼ cup dried dandelion petals stir in enough extra sunflower oil to coat them to prevent "bleeding" in to the soap as much. Place the dandelion flowers in a quart-sized jar and cover them with at least 16 ounces of sunflower oil. Cover and allow to sit in a warm, sunny spot for several weeks. 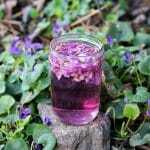 Strain out the blossoms through a piece of cheesecloth, squeezing the oil out of the saturated blossoms. Pour the water over the dandelion and allow it to steep, cooling to room temperature. Strain the dandelion from the water, squeezing the water out of the plant. Weigh out the solid fats (purified tallow and coconut oil) into a large glass or stainless steel bowl that can fit over a small saucepan to create a double boiler. Fill the saucepan with water and bring it to a boil. Set the bowl with the tallow & coconut oil over the saucepan until they are melted. Weigh the lye into a small glass bowl.Wearing your safety glasses, slowly stir the lye into the ice cubes until they are fully melted and all of the lye is dissolved. If you didn't already, now is a great time to measure out your essential oils, colorants, and herbal additions so they're all ready to go when you need them. Set them aside. Check the temperature of the oil mixture and the lye solution to make sure they've cooled enough so that when mixed together the temperatures will average about 90-100 degrees F.
Pour the green batter into your prepared mold. Swirl or decorate your tops, if desired. 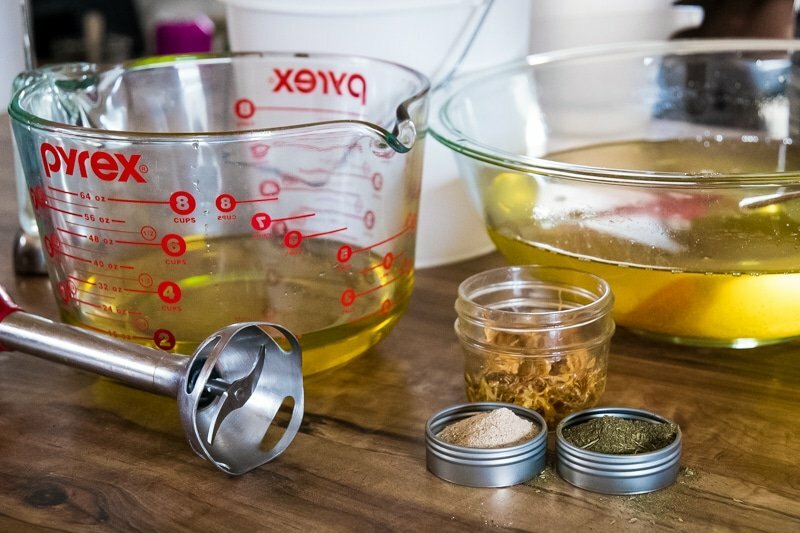 If you choose to use fresh flowers for the infused oil, be sure to make soap with it soon, because the high moisture content of fresh flowers will cause it to spoil. 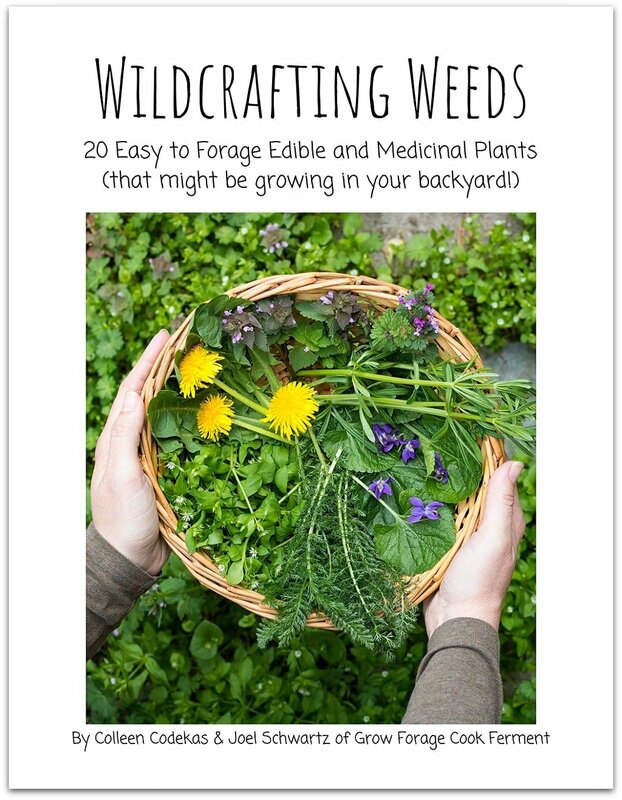 Dry, cut dandelion leaf can be powdered in a blender or spice grinder. Quinn Veon handcrafts all-natural herbal & botanical soap and skin care products inspired by the farm and garden. 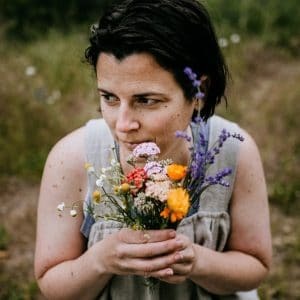 You can find her creations at Farmstead Soap & Salve and follow her on Instagram @quillhavenfarm. Sorry, everybody! I’m actually all sold out of Dandelion Soap for the season. The good news is they should start blooming again soon so hopefully, we’ll have it back in stock in a couple of months. I would like to buy this…..can you please sell some? I don’t sell this soap, but you can check out Quinn’s (the author of this post) wonderful homemade soaps for sale at Farmstead Soap & Salve! Do you sell this soap – how to purchase ?? Looks great, alas I have too many projects as it is! However, thanks for the link to Quinn’s website so I can purchase her beautiful creations.